Learn everything you need to know about the Crown chakra: symbol, location, color, meaning, crystals etc. Find out the best meditation techniques to attune your 7th chakra, what healing stones to use, and what the opening symptoms of the Sahasrara chakra are. The crown chakra is the seventh of the major chakras, hence it’s name. The 7th chakra is also known as the Sahasrara chakra in Hindi, meaning thousand or infinite. Thousand refers to the thousand-petaled lotus flower – the crown chakra symbol – and infinite refers to the connection with source through the crown chakra. Where is the crown chakra located? The 7th chakra Sahasrara is located at the crown of the head, beneath the Fontanelle. 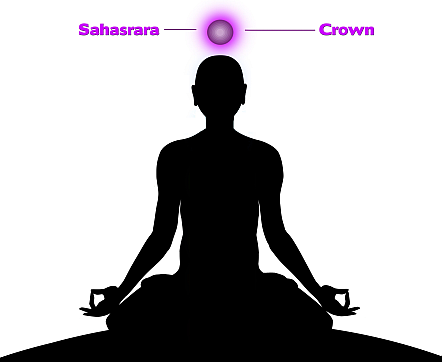 The crown chakra is four finger-breadths above the top of the head, projecting upward. What Color is the Crown Chakra? 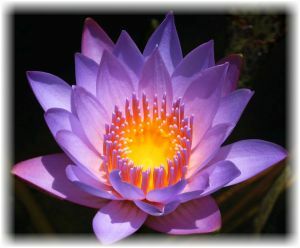 The crown chakra color is best known as being violet and is often symbolized by the purple lotus flower. Purple is known as the color of wisdom and power. The color white however is also associated with the crown chakra; white being the color of purity, divinity and spirituality. The seventh chakra is known as being the doorway to the divine. The crown chakra serves as the connection to source and the God-self. An open crown chakra brings wholeness, peace, wisdom, divine power and over time brings about a greater sense of being complete, no longer feeling a sense of duality. On the other hand, if a crown chakra is closed, or not functioning fully, feelings of separation, disconnect and a lack of purpose or meaning in life can come about. As all seven major chakras are connected, so it is actually wise to first start with the base chakra and work up through each subsequent chakra until reaching the crown chakra. When the base chakra is open and grounded through Mother Earth, the creative potential of the sacral chakra can then be optimized, empowerment can be then achieved through the solar plexus chakra, giving way to an open and loving heart chakra, self expression and divine expression can then manifest through an open throat chakra, while intuitive connection can be mastered through the third eye chakra and finally the spiritual energy can enter into the crown chakra, leading to enlightenment and spiritual fulfillment. It is a wonderful journey leading to greater happiness, wholeness, peace and wellbeing of each person and of humanity. Read more about crown chakra healing. Is Your Crown Chakra Healthy? In order to determine if a crown chakra is functioning to its optimal frequency, it is necessary to tune into this chakra to sense if there are any blockages or stuck energy that needs to be released. The best way to attune to the crown chakra is through meditation. Crown chakra meditation can be done by simply sitting in quiet meditation and focus your connection with the crown chakra. This simple meditation is a powerful way of opening the crown chakra. 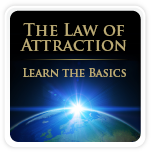 The following meditation is a great starting point in learning how to open your crown chakra. While it is easy to practice, it is also a very effective and powerful method of crown chakra healing. The practice of connecting with and breathing into the chakras can be done not just for the crown chakra but for all of the seven major chakras if desired to help unblock stuck energy and to restore their function. Once familiar with connecting to the chakras, other methods of crown chakra opening can be practiced such as using the crown chakra mantra – OM, or incorporating crown chakra crystals into the meditation practice to increase the effectiveness. Bring your attention to the Crown Chakra at the top of your head. Visualize breathing in through the Crown chakra and breathing out again. Breathe in pure white cleansing energy into the crown chakra and breath out. Repeat this breath once more, in and out. Bring your vision to the Crown chakra. What images are coming up? If no images come up, what feelings do you sense? Are there any emotions that need to be released? Do you have a greater sense of your connection to source? Take another breath through the crown chakra; on the in breath ask for whatever latent energies, stuck thoughts and emotions that reside in the Crown chakra to be released. On the out breath let go of these energies that no longer serve you. Finish the meditation by thanking your Crown chakra for all that it has done for you. The most powerful crown chakra stones include clear quartz, amethyst, and blue or indigo colored kyanite. These healing stones are used to bring all of the seven chakras into alignment. They provide healing, purifying, and protective energies. The crown chakra stones bridge any energy gaps that may have occurred after an injury or surgery. They will also stimulate the pineal gland and activate dormant psychic abilities. 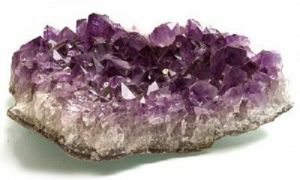 If using crown chakra stones, it’s important to be familiar with the best way to use them and to keep the crystals cleansed and charged with the highest healing frequencies in order to maximize their benefit. 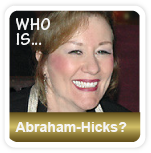 Once a blocked crown chakra begins to open, the benefits will begin to be felt immediately. Feeling of disempowerment, lack and disconnect will begin to dissipate as the function of the crown chakra is restored. 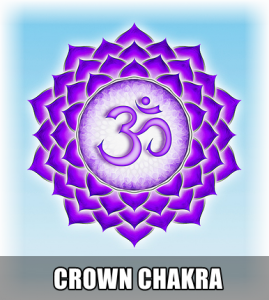 Crown chakra opening symptoms can include a sense of tingling or buzzing in the crown chakra, particularly when using crystals and a greater sense of oneness. Be careful however not to over stimulate the chakra and to be gentle with the practice of opening the crown chakra. If practiced in excess, overstimulating the crown chakra can lead to an overactive crown chakra. If this happens, the person can be left feeling somewhat “spaced” or ungrounded. Obviously, this is not a good way to be in as it is just as important to maintain a centered and balanced state, as it is to open the chakras. If one or more chakras are over used or overactive, it can lead to an energetic imbalance and adverse reactions. To counter any sensations of spaciness after a crown chakra meditation, it is advisable to practice a grounding meditation to bring the energy field back into balance. The key is not to rush the process, people unfold spiritually at their own time and the goal of spiritual enlightenment is not necessarily the destination. The process of learning from opening and unblocking the chakras is a valuable one and if rushed, vital lessons could be missed. Learning the lessons and moving forward with grace and ease is just as important as achieving an open crown chakra and an enlightened state of being. As with climbing a ladder, each rung on the ladder must be encountered before reaching the top. Attempting to jump from the lowest rung on a high reaching ladder to the top would not only be dangerous, it would be impossible. As long as there is dedication to the purpose of opening up spiritually, the process will naturally unfold.